Hardwood flooring is an exceptional choice when it comes to replacing your current flooring. It gives an elegant look to the home and also increases the value. 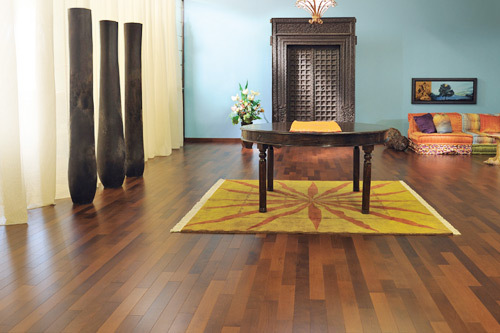 Family Carpet and Draperies offers a wide variety of hardwoods including domestic and exotic. Laminate flooring has become more and more popular throughout the last decade. Not only because it is such durable product, but because of the advancing technology and capability to make it look so much like real hardwood at a lesser price. Luxury Vinyl Planks, known as LVP, are a great options for families with kids and pets. They are designed to to give you the look of wood or stone, while creating a waterproof and scratch proof surface that is durable and long lasting. Family carries a wide variety of tiles, from natural stone, ceramic, or porcelain we carry it all. Many of our tile selection offers an array of stone like patterns, as well as different sizes to each tile to give it a pattern look, subway look, or anything that you can dream up. Here at Family, our wide variety of styles features the latest trends which include the most popular colors of, patterns, plush, frieze, berber, loop, wool and indoor/outdoor. We are very confident that we have what you want. We have a great variety of samples to see and feel. We are constantly keeping up with the latest trends and technologies in flooring, let us know your flooring needs and we can help. Don't see a flooring type listed here? Don't worry, give us a call or send us a message and chances are great that we have what you need. Family owned & operated since 1976, we deliver excellent customer service, elegance and design directly to you.